"Sound Mountain Sessions" is a straight forward, gritty, well-polished American hard rock offering from legendary LYNCH MOB, that truly captures the magic of their genre. Its got bite, its got soul, and lyrically, Oni Logan holds nothing back on this one! Recorded in the traditional "old school" way, the band locked themselves into Sound Mountain Studios for a week straight and put their ideas in the capable engineering hands of Chris "The Wizard" Collier. With nothing more than the desert rats as their audience, a steady intake of ramen noodles, and their passion for Rock and Roll, the band gave birth to "Sound Mountain Sessions", a four song EP that rivals their previous work from the early years. Another fantastic element about these new songs is the addition of bassist Robbie Crane, who brings solid grooves and melodic backing vocals to each track (a little known fact: Robbie was actually the very first bass player of Lynch Mob!). George Lynch does what George Lynch has always done best in this amazing release - he plugs in his guitar and then taps into the universal energy that only the elite guitar gods have access to....and delivers the goods. "Sound Mountain Sessions", is a powerful EP that introduces you to the next chapter / best chapter yet, of these legendary rockers. Featured tracks include: "Slow Drag", "World of Chance", "City of Freedom", and "Sucka"
Produced by Chris "The Wizard" Collier (Lynch Mob; Flotsam And Jetsam; Prong; KXM), "The Brotherhood" features eleven brand new hard rock tracks from Lynch Mob. This album will surely resonate with long time fans of the band, as well as those longing for that good ol' hard rock sound and feel. 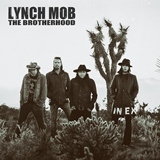 "The Brotherhood" highlights the unique pairing of Oni Logan and George Lynch, and along with Sean McNabb (bass) and Jimmy DAnda (drums), the band has created a solid offering from start to finish. From the heavy guitar riffs of the opening track "Main Offender" to the melodic album finale "Miles Away", Lynch Mob have once again proven they remain on top of their game and at the top of their genre! Lynch Mob "Unplugged" (Live From Sugar Hill Studios) was recorded at historic Sugar Hill Studios in downtown Houston, Texas during the filming of "Slow Drag", the video from the bands highly successful Rat Pak Records release "Sound Mountain Sessions". Produced by renown Houston engineer Dan Workman, "Unplugged" features rare acoustic versions of "Wicked Sensation", "River Of Love", "Where Do You Sleep At Night", "All I Want" and also includes a bonus 15 minute interview track. The entire performance was also filmed by producer Ross W. Wells (Zen Film) for an upcoming episode of Live From Sugar Hill Studios due out in early 2013 and is sponsored by Vitamin Water. 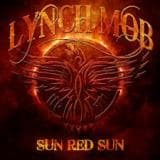 Lynch Mob "Unplugged" features George Lynch (Guitars), Oni Logan (Vox), Robbie Crane (Bass), Brian Tichy (Guitars) and Tyson Sheth on percussions.